In the construction of modern communication networks, fiber optic cables have been at a dominant position in recent years, such as the FTTH cable. These cables commonly use quartz fiber as the raw material. Currently, the plastic optical fiber (POF) is increasingly being perceived by people, and the bulk manufacture of this product has made great breakthrough. However, because the market is still at a low level of awareness, business promotion is still too difficult. So far, the cables that used in fiber optic communication are basically using quartz fiber by adding an appropriate amount of dopant composition to high purity silicon dioxide. In recent years, the plastic optical fiber is also developed gradually. It is an optical fiber made of a light-transmissive polymer. By using a mature and simple drawing technology of the polymer, the POF has a relatively low cost, and is relatively soft, strong, with large diameter (approximately 1mm) and low splice loss. Plastic fiber optic cable is a light guide medium for transmitting optical signals. It consists of a single or multi-core plastic optical fiber coated by outer PE, PVC and other plastic sheath. POF cables are used in high-speed data transmission, broadband access, FTTH, FTTD, intelligent home and office networking, automotive multimedia, industrial control, factory automation, automotive and aircraft as well as military applications. 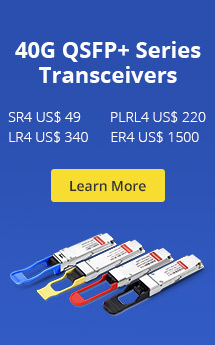 They are also used in a variety of short-distance data communications including audio jumpers, sensors, ground and short circuit protection, and other plastic indication fiber optic networks, local area networks, home and office optical network, enterprise optical network, digital surveillance, IPTV broadband connection, plastic optical fiber sensors. The technology of POF’s mass production has made great breakthrough, the plastic optical fiber industry has broad prospects in marketing. Currently, telecommunications companies in Europe and North America and the European POF Union have been testing plastic optical fiber. They believe that this medium has advantages including easy to install, low-cost, flexible, no damage to the naked eye, etc.. 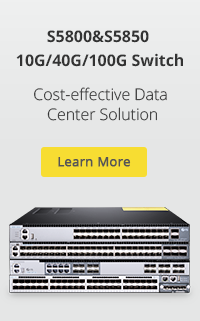 They want to slather POF cable into the home and business. In China, the high-tech industry plastic optical fiber has both challenges and opportunities. For its location, losses, costs and chain support, there are still doubts in the industry, and its market awareness is not high enough. The low market awareness causes that, though plastic optical fiber technology has made great breakthrough, there are problems existing in the promotion of commercial applications. This entry was posted in Fiber Optic Cables, Plastic Optical Fiber and tagged FTTH cable, plastic optical fiber, POF cable. Bookmark the permalink.